With Introduction of MAGNUM SNAPS® Blank Cartomizer, we offer our customers infinite flexibility and freedom of choosing your own e-liquid for the best vaping experience. 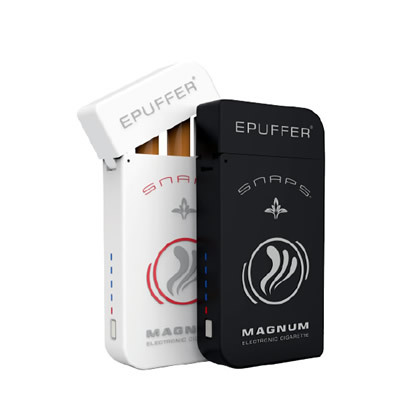 Industry’s first Electronic Cigarette using SNAPS® Patented Magnetic Activation, Screwless Design and now featuring SOFT-TIP Cartomizer technology for more realistic smoking experience. Squeeze 5-6 drops of e-liquid around the nicotine pad (cotton–like material) AVOIDING the center. Let the liquid absorb for 30-40 seconds and repeat the procedure three more times. To ensure the eliquid doesn’t get on the atomizing element do not hold the cartridge vertically but at an angle. Put the white silicon cap on the cartridge. Now you can enjoy smoking your SNAPS® cartridge. Never refill SNAPS® cartomizers attached to a battery. Detach (unsnap) it from the battery when refilling. Your blanks work great with my vape juice, I guess the secret is in PG/VG concentration. I mixed my own juice at 65PG / 35VG and have no problems. By the way, the nicsalts eliquid works great with your magnum system. I read the directions and the comments before ordering e-liquid and the blank cartridges. After trying several times, I was only able to get one to supply taste and vapor...barely. Reading, rereading, trying repeatedly with different cartridges...a dismal failure and worse, a waste of money. Guess they're not for me. Dear Susan, thank you for your feedback! For best result we recommend to use 70PG/30VG or 60PG/40VG e-liquids. 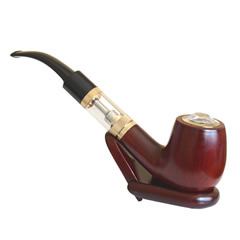 We have many customers who are successfully using our blanks Cartomizers. Please contact our customer service and we will provide a step by step instruction. Great charging case but batteries were VERY weak. Replicated smoking with great liquid but battery life was so short. Too much hassle to use on a daily basis. The cost of blank cartomizers is way to high to replace smoking. Good but not worth the price. Dear Tyler, thank you for your feedback. Please be informed; the blank cartomizers can be refilled 6-7 times. If you are having difficulty using the magnum snaps device, you are more than welcome to contact our friendly tech support team at 1-855-EPUFFER. Mon - Fri 10AM - 6PM EST. Absolutely wonderful product. Wish these were offered in the 50 pack carton like the others. I got a 5 pack of these with my Magnum starter kit and have been very impressed with them. They feel like a cigarette filter much more than the pre-filled carts due to the soft tip and the (cardboard?) outer casing. I've been using two for the past week with two juices (one in each), and they're still going strong. I do find I have to take quite long drags to get a decent amount of vapour which probably results in them needing to be re-filled more often, but with always carrying a spare full one this isn't really an issue for me. 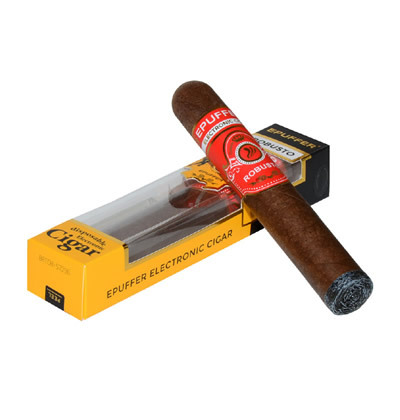 My only "problem" with them is as per another reviewer below; it would be nice if they were produced in the cork/tan colour to more imitate a cigarette filter than the black. Other than that, love them, they're easy to fill, and you can't get any simpler to use than snapping them into the battery via a magnet! Dear Kelsey, we are always listen to our customer requests and we are happy to say: The Blanks in Tan color are on it's way and should be available soon. As per customers requests, Magnum SNAPS Blanks are available in Tan color now. Great for using your own E-Juice, but I do not recommend them for high VG or thick juices as they do not absorb well into the cotton and burn out the coils much quicker than thinner juice. We love these, esp. my hubby. 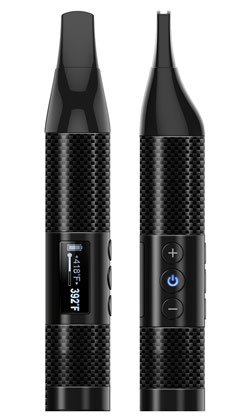 Will they ever be available in the cork color (hubby has black batteries, but mine are white - to tell which one belonged to who)? These are all black so no real way to differentiate. Your request has been forwarded to our R&D team. If we get more customers who wants blanks in Tan color, it will be produced. love these! Because I can fill with with my own stronger nicotine ejuice. ePuffer's nicotine levels are too low for me. These are great, I agree, but how many times can they be re filled? I think I may be "over" filling them sometimes :-(. Magnum Snaps cartomizers can be refilled up-to 10 times, but we recommend up-to 5, as flavor quality may change.